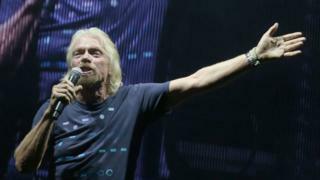 Sir Richard Branson says, despite a delay to Brexit, the UK is "dangerously close to full scale disaster". He also criticised Prime Minister Theresa May for "no longer acting in the national interest" and putting party before country. In a blog post on the Virgin website, the businessman also claimed many who voted leave had changed their minds. Sir Richard, who no longer lives in the UK, also called for the public to have "a final say" on leaving the EU. Last week Theresa May was granted an extra two weeks to come up with a Brexit solution after talks with EU leaders. But British Virgin Islands-based Sir Richard said: "At this juncture, it seems implausible that another motion to vote on the withdrawal agreement would actually win majority Parliamentary support. "And even with an extended Brexit deadline, that's a major risk to the UK, and to the Union itself. "This is a moment of profound national crisis for the UK." The billionaire added: "By limiting the MPs' choice yet again to one between her own deal and no deal at all, she is placing a dangerous bet." Sir Richard has been campaigning for the past three years against leaving the EU, frequently saying the move would be damaging to business. He is particularly concerned about the effects a hard Brexit could have on companies and the economy. "Nearly three years after the 2016 referendum, that evidence tells us that few, if any, of the original assumptions about leaving the EU were correct," he said. "Thousands of jobs in Britain have been lost already, with many more redundancies on the horizon as manufacturers react to the looming threat of tariffs and supply chain disruptions. "More than a trillion pounds in assets are being moved to Dublin, Frankfurt, Paris, and other European cities as financial institutions begin to execute their contingency plans."